I think that was a sea here at one time. Great picture! Very cool picture! & there are some fall colors in here too! Really neat, Dan. I love the interesting things you find to take pictures of. Oops. Sorry Mom. 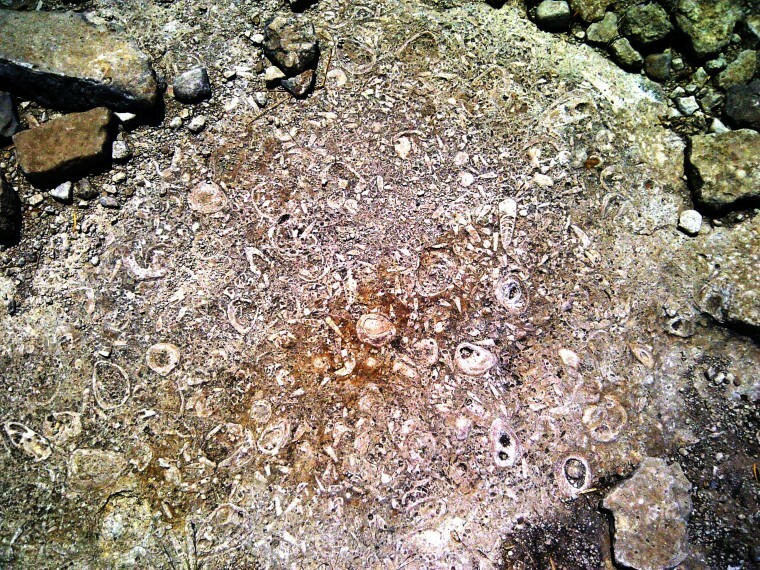 Forgot to state that I did lots of color correction to get the fossils to stand out. The fall color really was not there that much. LOVE it!! Really cool to see all those fossils in one place! Dan, if you have to ADD the fall colors, that’s OK! Still such an interesting picture of history!